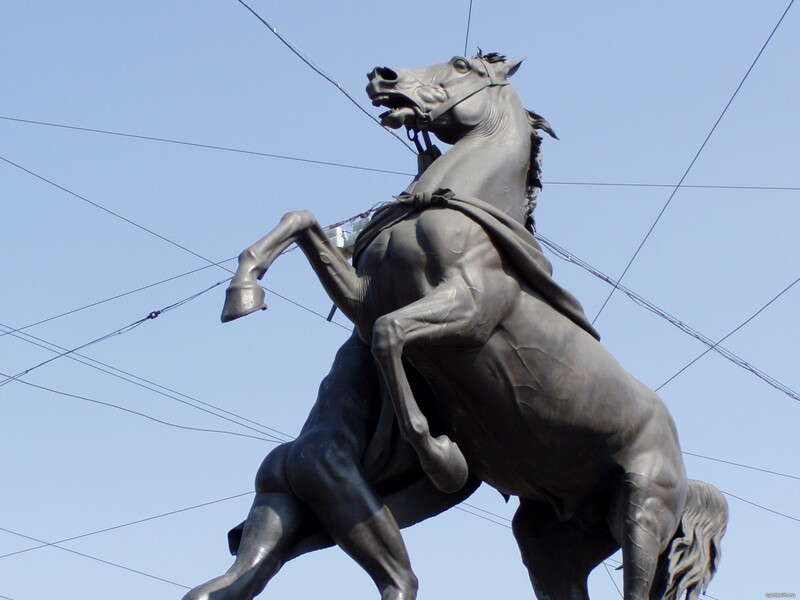 One of four sculptural compositions «Tamers of horses» on Anichkov bridge, the cast P.K.Klodtom. Udarenie on the first syllable of the name of the bridge incorrect, it is correct — Anichkov bridge. Anichkov bridge In the people has received the well-aimed name — «the bridge of 16 eggs» (can count, whether but 16?). Horse compositions are cast by the sculptor Klodt. bridge 16 eggs is informal-mathematical name Anichkov bridge, thrown through the river Fontanka on Nevsky prospect.